This is Carlton Colbert. You may have come across his incredible story in Summer Search Founder Linda Mornell’s book, Forever Changed. Chapter 10, to be specific. 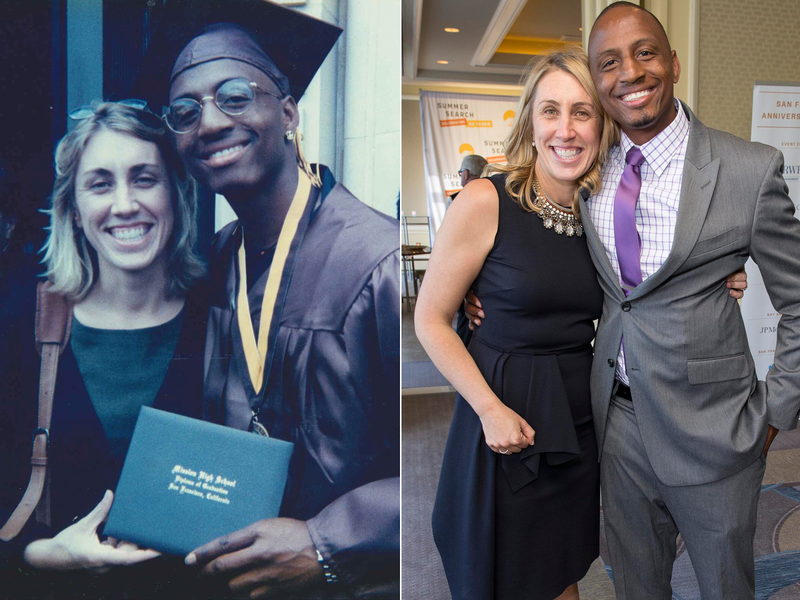 Carlton and his mentor, Katherine Kennedy in 1998 at Carlton’s high school graduation, and then in 2015 at our 25th Anniversary gala. Carlton joined Summer Search as an 18 year-old high school sophomore who had family hardships and challenges in school. Today, Carlton is a successful entrepreneur with his own business, Colbert Productions, a video production company where he produces training, education and conference videos for clients worldwide. And of course, Carlton wanted to pass on a similar script-flipping opportunity to his stepson, Jonny. Just like with Natalya and Mila, our friends at Deer Hill Expeditions (with help from Carlton’s former mentor, Katherine, pictured above) were able to provide the perfect summer experience for Jonny. After his trip, Jonny reflected on how challenging, and eventually rewarding, his experience was backpacking and white-water rafting. Like we said in part 1, the impact of our program doesn’t stop with our students. It ripples out as a new narrative of possibility for the families and communities that surround them. Carlton flipped the script of his life’s narrative, allowing him to give his stepson Jonny the chance to experience something new and challenging.